There are very vulnerable groups out there. 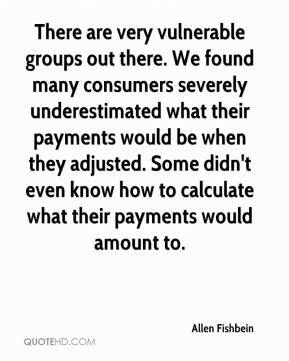 We found many consumers severely underestimated what their payments would be when they adjusted. Some didn't even know how to calculate what their payments would amount to. 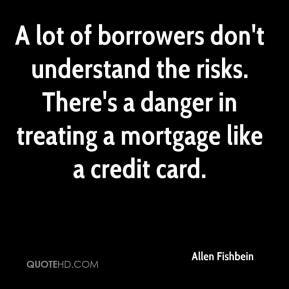 A lot of borrowers don't understand the risks. There's a danger in treating a mortgage like a credit card. 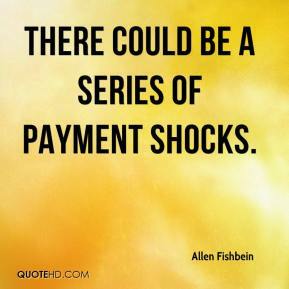 There could be a series of payment shocks.